Mr. Roots: What were you doing before you became a coffee producer? P’ Sopa: I used to work in a factory that manufactured electronic parts for a Japanese company. I was working there for around 2 years before I returned home. P’ Sopa: I’m originally from Om Koi, so I am incredibly fond of the area. I saw what was once a beautiful, untouched forest, had slowly turned into a barren land. I turned to farming coffee because I wanted to see tranquility and greenery return to Om Koi once again. Mr. 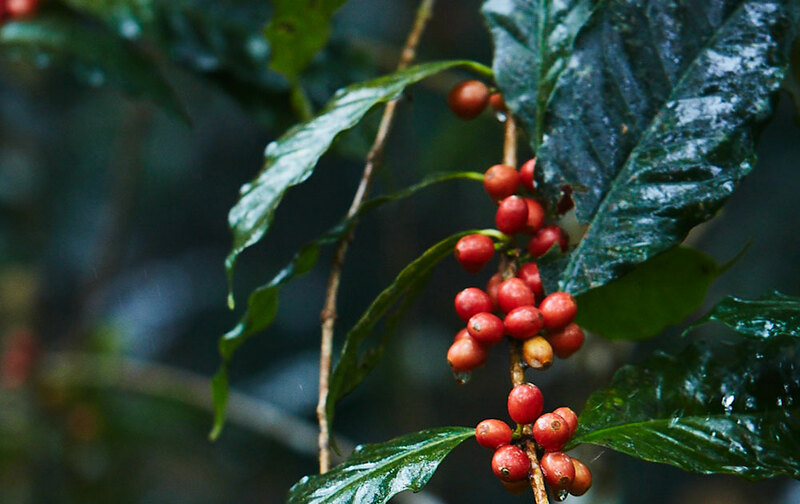 Roots: How and when did your coffee journey begin? How long have you been a coffee producer and what makes you want to continue? 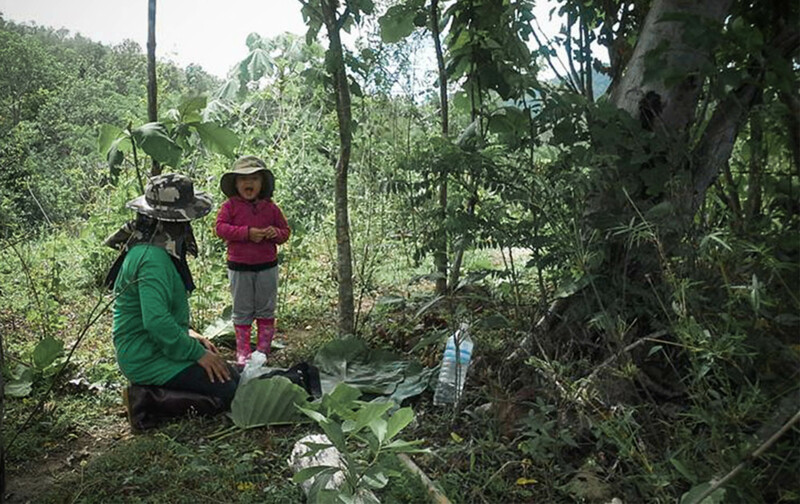 P’ Sopa: I thought for a long time about a pursuing a career that would allow me to be closer to nature without destroying it. Somebody suggested I look into growing coffee trees in the forest, and so in 2008, I did! Luckily Om Koi is perfect for it - the environment can take all the credit of all the great tasting coffee we’ve produced over the years! I also found that coffee could have a positive impact for the locals in Om Koi. It could improve their livelihoods, well-being, and provide enough funding for them to send their kids to school. And that’s why I had set myself a goal to make Om Koi coffee the very best I can. I did a lot of research, reading and studying video clips from abroad. Or sometimes I would visit local coffee shops to gather information and ask for advice about aroma and tasting notes. I want to make sure that the coffee we’re making is of the highest quality so that we can get a good price for it. If we set the prices too low, then it would be very hard to persuade the locals of Om Koi to become coffee farmers and producers. P’ Sopa: Probably still doing this! And what’s even better is that now we’ve got a lot of new generation farmers/producers who are very invested in the business. I want to make quality coffee that’s special and unique. I think by putting our effort into taking care of every step of the process, even from picking the coffee cherries - that’s how we can produce coffee like nowhere else! P’ Sopa: Coffee is an amazing plant. Even in dry conditions, you can grow it. And it’ll still keep growing even when you forget to take care of it. I wasn’t a big coffee advocate before - actually, I didn’t even drink it! But now, coffee is opportunity for people to have a better, happier life. And I suppose, that’s why I am really passionate about it. P’ Sopa: I only drink hot coffee. If not an espresso, then I’ll take any milk-based coffee. I also really like making my own espresso from the beans that I roasted myself. P’ Sopa: I would want to let the customers know when you drink our coffee, you can enjoy it with a peace of mind. 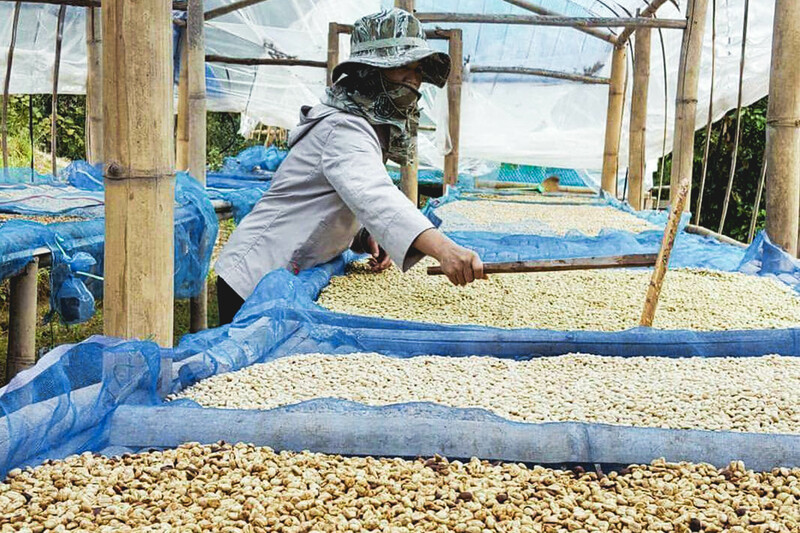 It’s a quality coffee that’s clean and properly processed - plus, you also get to be a part of helping the locals of Om Koi have a sustainable income and career! P’ Sopa: When I was younger, I wanted to be a diplomat. It was my dream to travel to different places and I thought getting suited up looked pretty cool! Feel like trying P’ Sopa’s coffee? Click here.